When Ricky and Lisa were given the old family home as their own they were initially at a loss to envisage how it could be turned into the modern home they needed for their own family. We were pleased that we could help through collaboration and incisive design ideas, all with the aspirational input of enthusiastic clients. 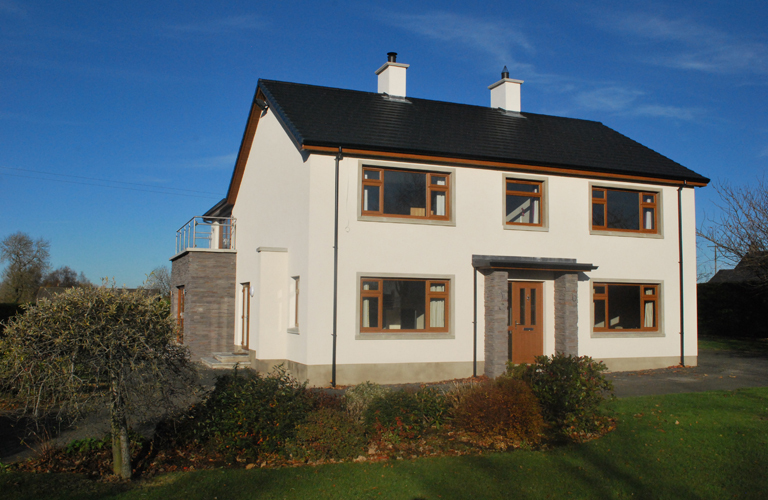 Together what we have achieved is a revitalised 5 bedroom home on the outskirts of Randalstown. 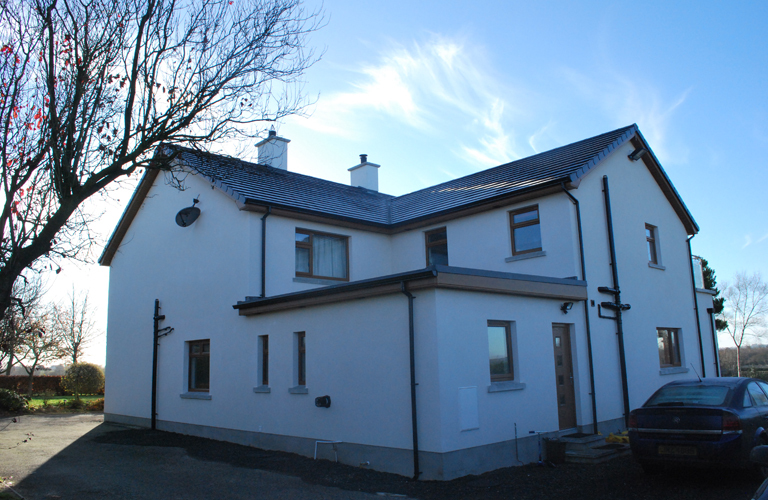 The existing house has been re worked, the original flat roof extension demolished to make way for a two storey extension. This allowed us to incorporate a new master suite with balcony on the first floor and new main bathroom. 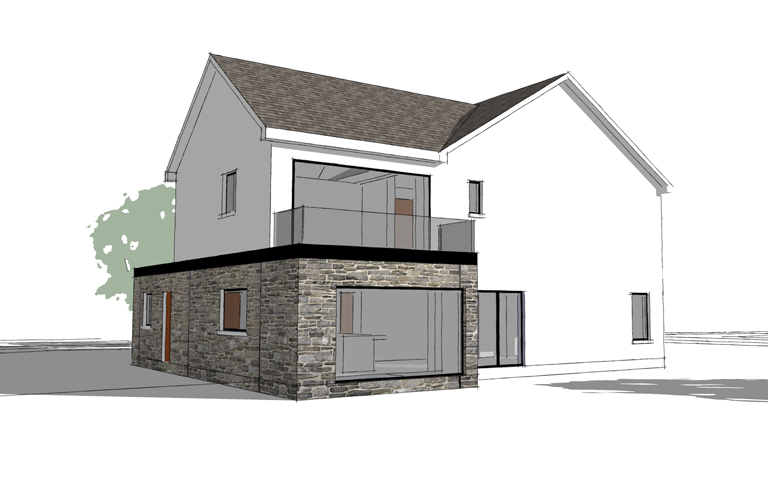 Downstairs the new extension incorporates the new open plan kitchen which leads into the main living space. It also allowed room for the new utility room, larder and downstairs toilet. To the front of the original house we provided a new entrance focal point through the new porch. This leads into a reworked hall with the stairs reversed to make better use of the space. A playroom and 5th bedroom with en suite now lie off this space. The interior was completely stripped back, rewired, replumbed and re plastered. 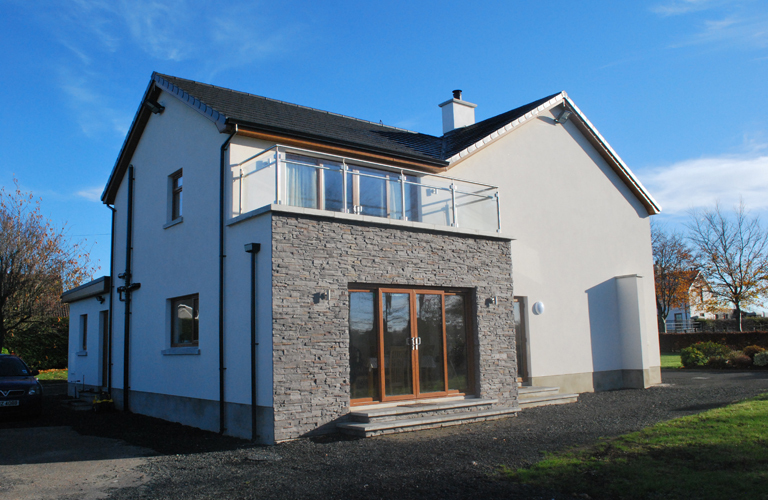 The exterior got the same finish and has been rendered with k- rend- providing a more contemporary finish. 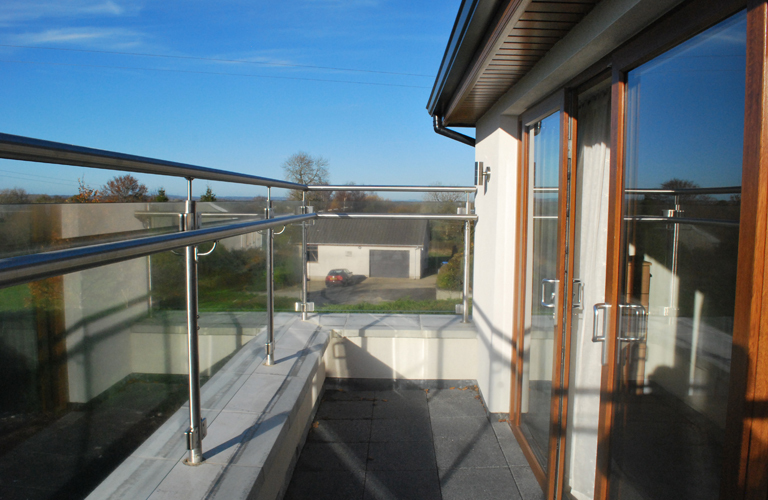 New windows and roof finish complete the transformation with a touch of extra class added by the glazed balustrading to the balcony. We are pleased to say the family are well settled in and very happy with their new home. 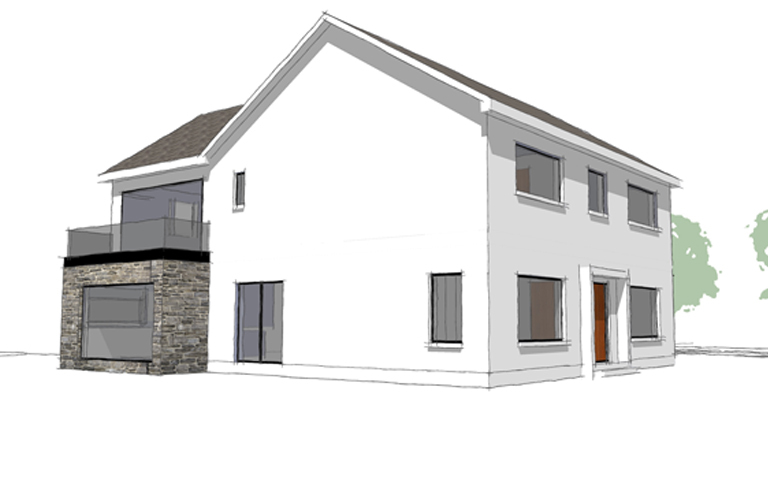 So much so we were recommended and been commissioned to design a family member’s new build house nearby.